I’ve been fortunate to come across so many remarkable people in my life. Leaders, entrepreneurs, creative, collaborators and children – I’ve been inspired time and time again. 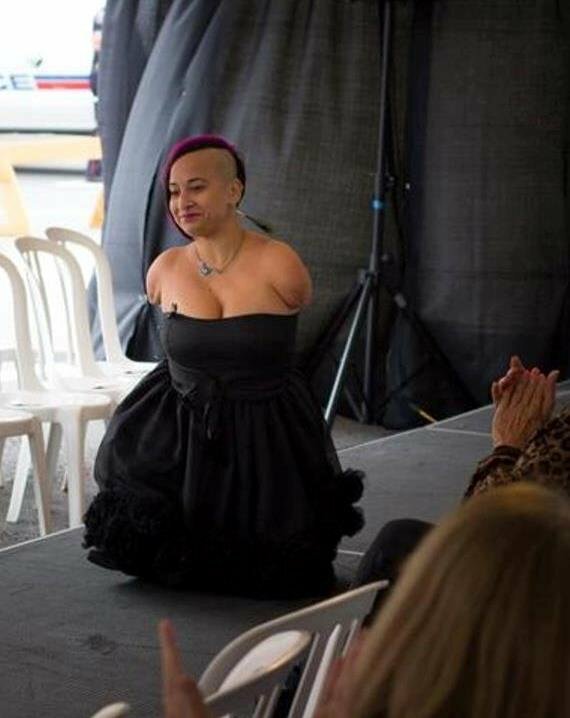 But few people have stood out much as Talli Osborne. 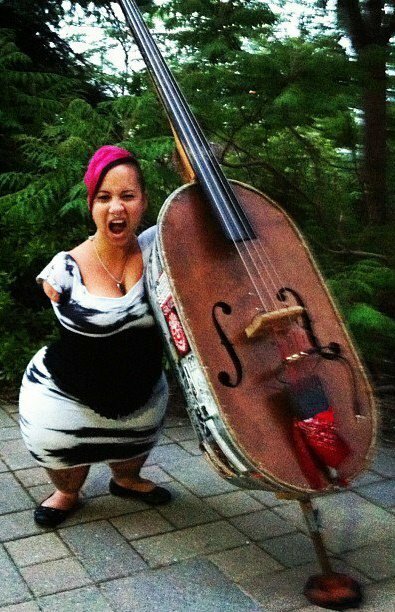 Born without arms and missing bones in her legs, Talli has been bullied and suffered cruel criticism about her appearance. But to me, she is one of the most beautiful people in the world. Why? Because she stands much taller than meets the eye. She’s faced adversity with great determination, and always lived life to the full. Bands, sport, camps and volunteering, she’s done it all, moving and motivating those around her. We were lucky to have her as part of our Virgin Mobile Canada team for some wonderful years. Driven, passionate and utterly charming, she even won Virgin Mobile Canada’s Virgin Star of the Year for 2009. 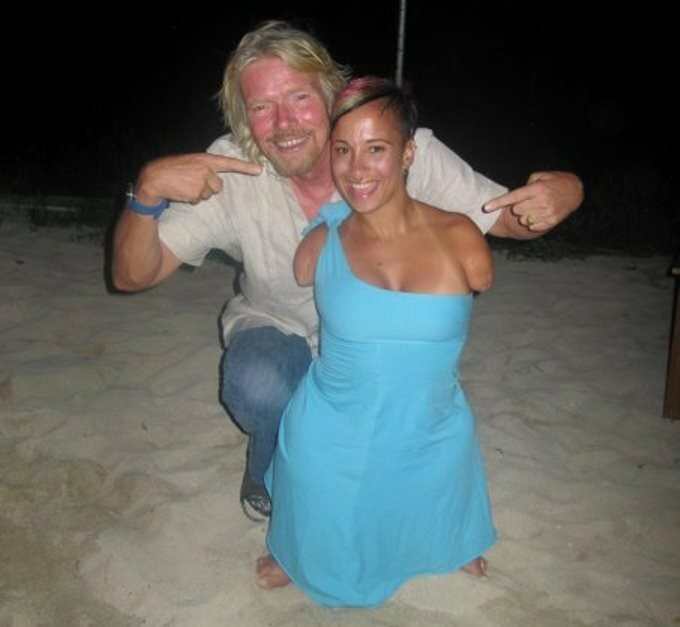 I met Talli when, after winning the competition, she joined us on Necker Island. We would all sit at the bar for hours, transfixed by her wonderful stories. At just four foot, Talli stands tall – her spirit and confidence sees her tower over those around her. Talli is testament that real, natural, strong, and powerful beauty comes from within. You won’t find it in the pages of a fashion magazine, on a billboard in Times Square, or on the racks of a department store. It doesn’t come from the gym, the size of your jeans or a makeup bottle. Beauty lies within, and is radiated through self-confidence and how we treat others. Thankfully, there is no such thing as an average person. If the world was made up of average people, it would be a very dull place to live. 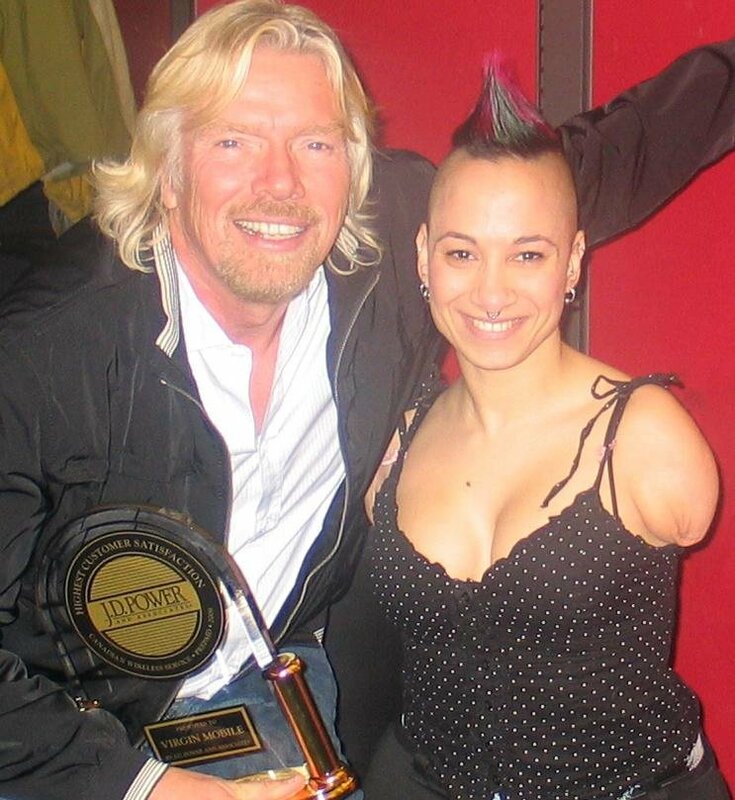 The most talented, thought-provoking, game-changing people are never ‘normal’. They usually overcome great obstacles, take surprising routes to their goals, and under no circumstances do what people expect them to do. Don’t waste your time trying to fit in. Everybody should aspire and strive to be exceptional, and celebrate the differences that make us all unique and interesting. Learn more about Talli’s story and follow her journey on Facebook.